Bella Fascini Evil Eye Review and GIVEAWAY! Today Beadsaholic brings a review of the new release Evil Eye of Protection Symbol by Bella Fascini! Many people throughout the world believe in the curse of the Evil Eye, that when you are given an evil look it cast a curse or spell of misfortune. It is thought that if you wear an Evil Eye amulet or charm that is usually round in shape with shades of blue and white that it will protect you by warding off the Evil Eye. Bella Fascini has introduced three Evil Eye beads to their collection! All three beads are sterling silver with Luxe Color Enamel, approximately 12 mm wide x 13 mm high x 12 mm deep. All Bella Fascini beads fit universal systems like Pandora, Chamilia and Ohm. Each bead retails for $30. *Giveaway details at the end of this article. Bella Fascini Evil Eye of Protection Symbol – Bright Eye Blue is sterling silver with Luxe Color enamel in glossy black, stardust white, pearlescent Aqua Blue. Bella Fascini Evil Eye of Protection Symbol – Watchful Eye Blue is sterling silver with Luxe Color enamel in glossy black, pearlescent aqua blue, pearlescent blue. Bella Fascini Evil Eye of Protection Symbol – Traditional Blue is sterling silver with Luxe Color enamel in glossy black, glossy white and translucent sapphire blue stardust. I think with winter coming up, that these will work well in many of the blue combinations, however it works well mixed in with other beads or alone on a bangle, add some spacers to make a fun new look. Below you will see all three Evil Eyes together. A little Eye fun for Halloween! Over all, Bella Fascini Evil Eyes are nicely made. Normally I’m not a huge fan of enamel beads; however, I must say the quality of the Luxe Color is rather nice and I like the added sparkle. I have enjoyed wearing them on the bangle and look forward to working them into some winter combinations! I know they are not for everyone, but I think many of you will absolutely love these beads. I love that Bella Fascini has kept to traditions when creating this design. 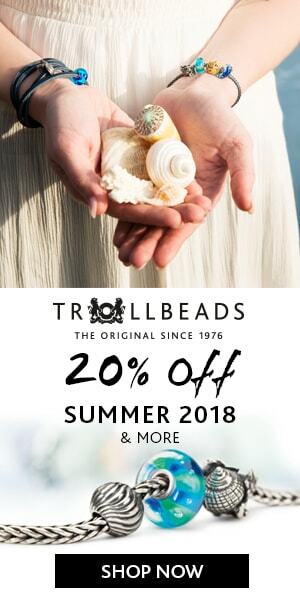 If you would like to shop for these beads or would like to browse the Bella Fascini Collection you may do so by clicking the Banner link below. Now for some fun! 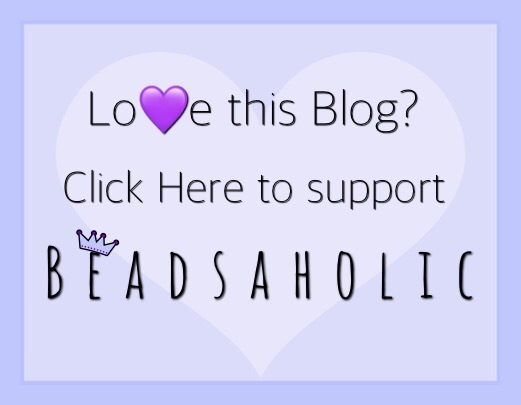 Beadsaholic is hosting a Bella Fascini Evil Eye Giveaway! Winner will be chosen at random and will have the choice of one Bella Fascini Evil Eye (Bead will be shipped by Bella Fascini). Giveaway starts today through Midnight, October 31st, winner will be announced on November 1st, 2017. Be sure to check back to see if you won! To enter the giveaway, you must complete one of the following three request and comment below. Like Beadsaholic Facebook page. Like and Share this Facebook post to your wall and/or group, you must post publicly in order for me to know it has been shared. Once done come back to this article on beadsaholic.com and BELOW leave a comment “Done – Facebook” or “Done – Instagram” and the “name on your account”. It’s important to leave your account name, so that I know who you are and can contact you. Any questions you may either comment below, send me an email or direct message on Instagram or Facebook. Done-Facebook Sabine Krauss! This is a fun bead espcially for a chain or a bangle. Just sparkle all on its own!! These evil eye beads are really cool! Love, love ,love this bead. Done – Facebook! Thank you! Omg! Being that I am Cuban! I have grown up with these! I love them Soo much! Great Review Paula! love the photos! You are the Winner!!! #25 Message me social Media to let me know which Evil Eye you would like, please. Great Evil Eyes from Bella Fascini!